Jane Doe died as a result of blunt-force trauma to her head. The blows she received were so severe, it left her with a broken eye socket, a broken jaw, and with broken dentures inside of her mouth. When discovered, her dentures were missing two teeth. It is unclear if the loss occurred as a result of the brutal attack or not. The officer noticed her hands had been severed from her wrists. They have yet to be recovered. Authorities believe this was done in an attempt to prevent or prolong her identification. Either her fingerprints are on file somewhere or, she may have had close ties to her killer; therefore her identification could possibly lead to their arrest. She also had sharp-force injuries to the left side of her head near her ear. These injuries were most likely caused by a knife. The officer also noticed tire-tracks in the gravel indicating the person who dumped Jane Doe, had made a U-Turn when driving away. When discovered, Jane Doe was wearing a home-sewn black dress with a blue paisley print, a home-sewn multi-colored coat, a blue turtleneck, nylon stockings and slip-on tan shoes; size 8.5. Her killer had taken the time to remove the labels from her store-bought clothing. Her upper denture is inscribed with the number 420 or 4-20. The number 289 or 682 is also present in raised lettering; a code from the manufacturer. The numbers have not aided police in identifying Jane Doe. Her hair was a greying-brown that had possibly been worn in a perm. She had blue eyes, was 5’5”-5’6” and weighed 150 lbs. She had a vertical surgical scar on her abdomen, along her midline, that was 4 ¾” long. She was estimated to be between 50–63 years old. 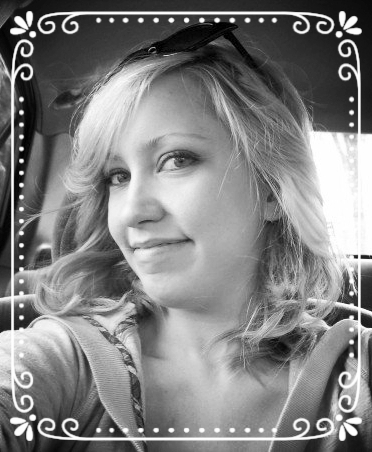 Authorities believe she was killed 24-48 hours prior to being discovered. Due to the lack of blood at the scene, authorities theorized the attack had taken place at a different location. After seeing a news report about the grisly murder, a couple came forward stating they had seen a suspicious man the evening of May 4th. He had been returning to the driver’s seat of a yellow compact car, parked on the side of US Highway 14, about 3 miles from where Jane Doe was discovered. When police investigated this area, they discovered: a piece of the broken denture, some blood, and a man’s Quartz Seiko watch. They also noticed a disturbance in the gravel indicating the driver had accelerated hard, spraying up rocks as he fled. It is theorized the man was attempting to dispose of Jane Doe here, but was interrupted by the couple. Police believe the man was driving a yellow 1982 Datsun. 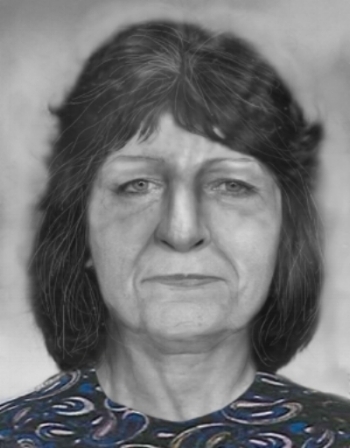 Authorities have long believed that Jane Doe was not from the immediate area in which she was discovered. In 2012, they reached out to parts of Wisconsin and Minnesota that were connected to Highway 14 with the help of local media. They aired a 3-day special on the case called “Catching Her Killer: Justice for Jane Doe”. On August 12th 2012 Jane Doe’s body was exhumed and sent to Madison Wisconsin for DNA testing. Specialists were able to retrieve a profile for future comparison before she was laid to rest once again. Authorities are considering using familial DNA in aid in her identification. This new method, of entering unknown DNA into an ancestry data base in hopes of identifying a relative has recently yielded successful results in quite a few cold cases. The most infamous is that of the Golden State Killer, identified and arrested in April of 2018. In December of 2012 a new facial reconstruction of Jane Doe, based on scientific measurements of her skull, was released by the University of Arizona. This was completed by forensic artist Catyana Falsetti. In May of 2018, police sent Jane Doe’s clothing to the U.S. Customs and Border Protection in Chicago, Illinois, to undergo tests in hopes of identifying the pollen that had been detected on the garments. 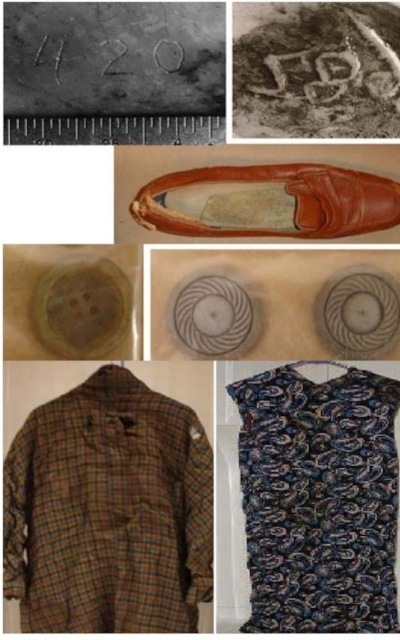 These new forensic measures can produce results even if the clothing has been washed. The report came back stating that rather than identifying local pollens, the test identified high levels of ‘sage bush’ meaning the pollen is likely from “an urban area in the semi-arid highlands, or lowest elevation zone, of the temperate sierra found in the states of Arizona and New Mexico.” Law Enforcement now have the official confirmation that Jane Doe was not from the area in which she was discovered. Recently, authorities have been working with media in the southwest in hopes of reaching a new audience, and someone that may recognize the forensic sketch. Through the course of this investigation, police have followed up on over 400 leads but still Jane Doe remains without a name on her tombstone. A 1982 Dutsun; Suspect may have driven this or something similar.